Beyoncé brings the No. 1 show of the summer to Gillette Stadium on Friday. Hello, friends! With Memorial Day behind us, the summer season has now kicked off in earnest, even if you needed a jacket a lot of this week and may want to pack your most glamorous poncho if you’re going to see Beyoncé on Friday. Saturday, in particular, offers myriad urban adventures. You have the Cambridge Arts River Festival along the East Cambridge waterfront, which kicks off with “sculpture racing” and continues with music, theater, dance, poetry, crafts, lots of food, and a beer garden. Brookline makes its own arts bid with its very first Porchfest. (Can sweet music tame a town’s fearsomely aggressive wild turkeys? Let’s find out!) Meanwhile, La Brasa in East Somerville hosts the E-Som Market, featuring art by local vendors as well as brunch and beer. And you can kick off the whole weekend (if you can wangle tickets) with the ICA’s First Friday, which has a Caribbean theme this month and offers dancing, performances, and a pop-up oyster bar. Need more? 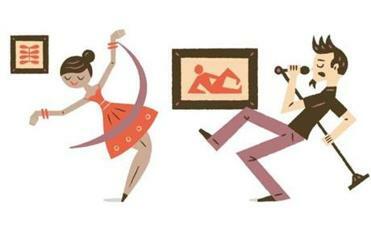 Here are some great weekend options. WELCOME, QUEEN BEY: We watched the visual album drop. We analyzed the film: “the best movie of the year to date,” Ty Burr called it. After all the reviews, hot takes, and speculations about the identity of “Becky with the good hair,” what endures at the center of the swirl around Beyoncé’s towering album “Lemonade” is the art itself. “You can’t choose to ignore what almost certainly will prove the best album of the year, and the best album — the best thing — a star the magnitude of Beyoncé has ever made,” writes music editor Steve Smith. This weekend she arrives with the No. 1 show of the summer: Beyoncé, Gillette Stadium, Friday night. Resale tickets are still available. FOR KIDS, WIMPY AND OTHERWISE: The Boston Book Festival hosts Hubbub, its second annual spinoff festival for kids up to age 12. There are performances by the sketch troupe Story Pirates, among others; puppets, photography, music, zine-making, dancing, and storytimes galore; and an appearance by elementary school hero Jeff Kinney, mega-selling author of the “Wimpy Kid” books and proprietor of the year-old bookstore An Unlikely Story in Plainville. It’s free and runs all day Saturday in Copley Square. Full schedule at www.hubbubfest.org. TALKY NEW YORKERS: “Maggie’s Plan,” the latest film by Rebecca Miller, is one of those chatty, neurotic New York social comedies à la Woody Allen or Noah Baumbach, reports Ty Burr, but with a woman’s sensibility and a more relaxed tone than some of Miller’s earlier films. It involves Greta Gerwig as Maggie, a young college administrator ready for a family, Ethan Hawke as the guy she falls for, and a Teutonic Julianne Moore as his wife, plus friends played by Bill Hader and Maya Rudolph. With it, “Miller comes into her own as a filmmaker . . . [and] quietly but forcefully reinvents an entire movie genre,” Burr says. Three stars. Opens here Friday. 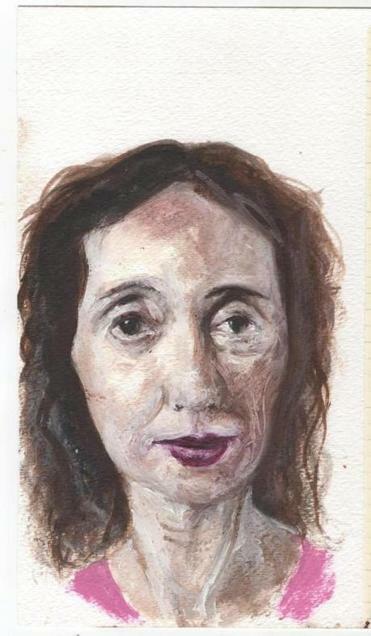 A portrait of Joyce Carol Oates by Aurélie Galois. FACE BY FACE: When painter and journalist Aurélie Galois moved to Boston from France, she knew almost no one. But she took up residence at the Brookline cafe 4A Coffee and began interviewing people, there and elsewhere. Each Friday she created oil portraits of her subjects, from the Iranian owner of Kupel’s to the novelist Maryanne O’Hara. Those works, along with her profiles in words, became the new show “Friday Face: a year in Boston,” now at the French Cultural Center. The best of them, writes art critic Sebastian Smee, “project a fullness of presence and an almost explosive sense of engagement, mobility, and emotional honesty.” Open Friday and Saturday, as well as other weekdays. A GRAND TOUR IN GLOUCESTER: In Gloucester Stage Company’s production of Peter Shaffer’s 1987 comedy “Lettice and Lovage,” “virtually every movement Lindsay Crouse makes and every word she utters is charged with theatricality” writes critic Don Aucoin — which makes sense, since the eccentric mansion tour guide she’s playing sees the whole world as a stage. That eventually lands her in trouble with a preservation official played by Marya Lowry. As an added bonus: The “tourists” to the house are played by local community members, in exchange for free tickets to another performance. Through June 11. IRELAND LIVES: The spirit of the old country is alive and well at the 2016 Irish Fest Boston, which includes four stages, many musical performers from here and from Ireland, dancing, vendors, and food. (Yes, Guinness is a sponsor.) One highlight: a headlining appearance by “Irish folk legends” the Wolfe Tones to commemorate the Easter Rising in Ireland 100 years ago. It’s Saturday and Sunday at the Irish Cultural Centre in Canton. Full schedule and tickets on the twinkly website, here. 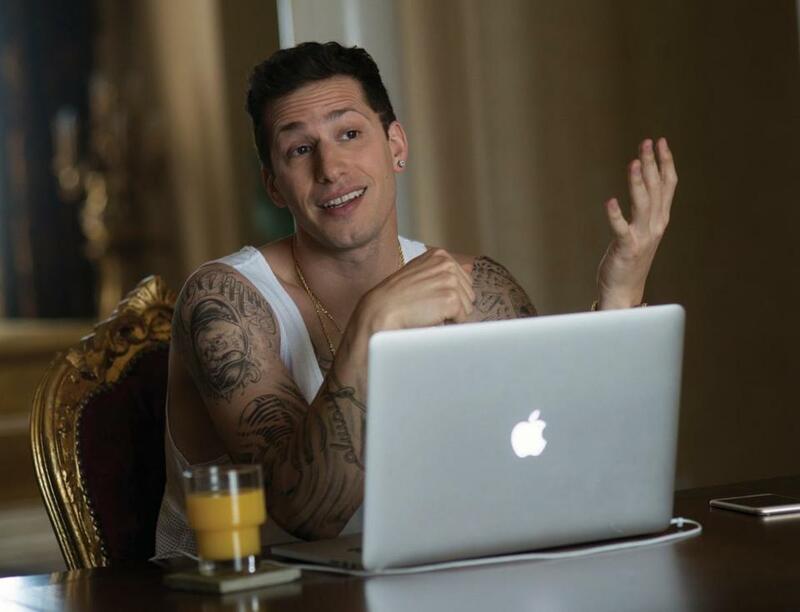 BIG-SCREEN POP PARODY: With “Popstar: Never Stop Never Stopping,” the Lonely Island comedy crew teams up to put Andy Samberg in the role of aging, Bieber-esque pop superstar Conner4Real. 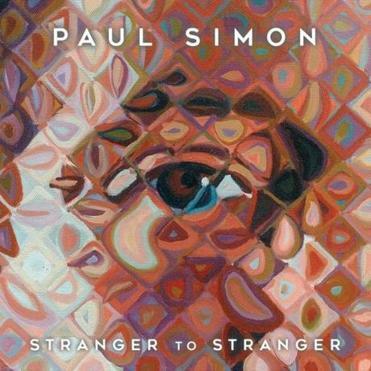 It’s more an excuse for a string of ridiculous songs than anything else, says Ty Burr, who calls the movie “genial, silly, and instantly forgettable” and gives it two stars. But you could go for the guest-star wattage alone, with appearances from the likes of Ringo Starr, Sarah Silverman, Nas, Mariah Carey, Joan Cusack, and Shrewsbury’s own Mike Birbiglia. Opens here Friday. AN EPIC OF THE SLAVE TRADE: “Homegoing,” the much heralded debut novel by Yaa Gyasi — 20-something author, huge book deal, glowing Ta-Nehisi Coates blurb — arrives at the exact right “Roots”-revival moment. This multi-generational saga of the slave trade follows two 18th-century half-sisters born in Ghana and their descendents, separated by oceans, fate, and human cruelty, all the way to the present day. “‘Homegoing’’ enters a ready and waiting reading world, and it is built to satisfy,” writes reviewer Rebecca Steinitz. Gyasi reads and signs at Harvard Book Store on Friday evening. A SPONTANEOUS SITCOM: Can you influence the plot of a defunct TV show? Sure, why not? ImprovBoston offers you the chance to steer the plot of “Friends: The One That’s Improvised,” in which a troupe of improvisers playing all six principal characters create a new episode of the sitcom “Friends” based on suggestions from the audience. Saturday (and next Saturday), in Cambridge. ROMAN SUMMER HOLIDAY: Odyssey Opera mounts a mini-festival of Italian opera, “When in Rome,” with two rare early works by Gluck (“Ezio”) and Mozart (“Lucio Silla”) in fully staged performances under the baton of Gil Rose. These operas are “equal parts entertainment and rubric, spectacle and warning,” Matthew Guerrieri writes. “No matter how many eras intervene, Roman stories seem to mirror the world with uncanny fidelity.” “Ezio” plays Friday and Sunday, and the festival runs through July 12. Amanda Katz can be reached at amkatz@globe.com. Follow her on Twitter @katzish.